Storey Publishing, LLC, 9781580172165, 256pp. Preserve history and save money by renovating, rather than replacing, old barns, sheds, and outbuildings. This practical guide shows you how to accurately evaluate a barn’s condition and execute whatever necessary repairs are needed. Offering clear step-by-step instructions for squaring up and strengthening the structure, restoring or replacing the roofing and siding, installing new windows and doors, and even adding electricity and plumbing, Nick Engler will inspire you to give your outbuildings a fabulous and functional new life. Building is a passion that author Nick Engler pursues fully. He holds several patents on woodworking tools that he developed. He also likes to share his how-to knowledge with other builders. Engler has authored many articles on woodworking, construction, and home improvements. 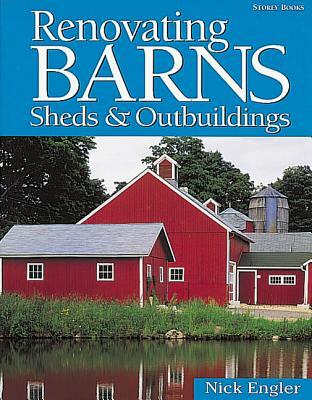 He is the author of Renovating Barns, Sheds & Outbuildings. Engler is also a pilot, and is building his own 1902 Wright Glider replica.